La Ventana Del Mar Condo $95,000USD! Popular Plan 1, single story, two bedroom and two bathroom condo! Near the end of a cul-de-sac while conveniently located walking distance to the condo community pool, La Palapa Bar & Restaurant, and The Sea of Cortez. 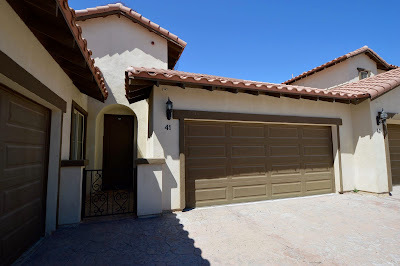 Furnished and upgraded with beautiful granite counter tops, stainless steel appliances, carpeted bedrooms, built-in propane fireplace at the rear courtyard, there are also several storage closets in the double car garage. Providing an open floor plan, the living area is outfitted with a fireplace and media niche while the kitchen and dining space provides an island with seating, pantry and GE Profile stainless steel appliances. The Master Suite is nicely sized and able to fit a king sized bed set with a glass door to the rear courtyard. The Master Bath features a soaking tub, glass enclosed shower with tile backsplash, dual sink vanities, and walk in closet. Priced at $95,000 and sold furnished, this very inviting condo is ideally located...Call Darryl & Michelle at Baja Sun Real Estate to arrange a viewing before this one is gone!